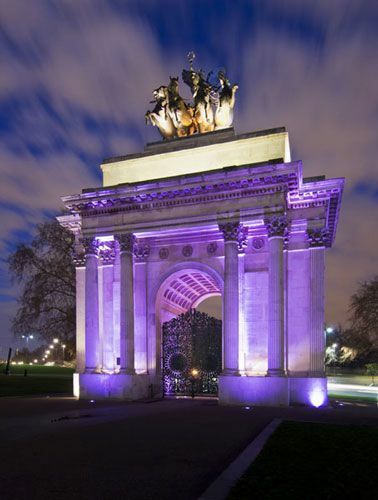 Wellington Arch is an exclusive London venue, reopened in 2012 following extensive refurbishment. 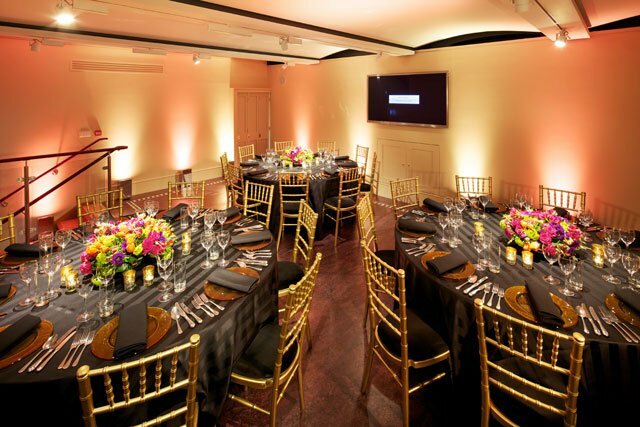 This is a truly unique and intimate venue, perfect for small private dinners and receptions. This impressive venue is not to be missed. Wellington House is one of the most unique venues in London, with stunning panoramic views across Westminster and Buckingham Palace Gardens. Magnificent exterior balconies also offer unique views of the Household Cavalry that pass beneath for the Changing of the Guard at the Horse Guards Parade. Decimus Burton designed Wellington Arch in 1825 as a victory arch to mark Wellington’s defeat of Napoleon and as a grand outer entrance to Buckingham Palace. The arch was completed in 1828 but was very quickly the subject of fierce debate due to the fact that it was topped with a gigantic statue of the Duke of Wellington. In 1882, the massive monument was moved to its present site at Hyde Park. Then, in 1883, the contentious Wellington statue was removed and replaced with ‘Peace Descending of the Quadriga of War’, which remains today the largest bronze statue in the UK.